A new Japanese kitchen sharing service gives travellers access to home kitchens in the nation’s major cities. 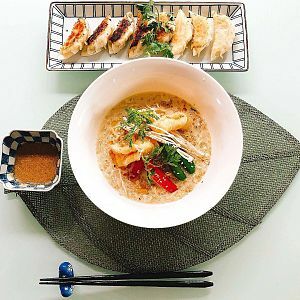 Called airKitchen Plus, the service was created to give tourists better access to vegan and vegetarian food in a nation where going out for a plant-based meal can pose difficulties. 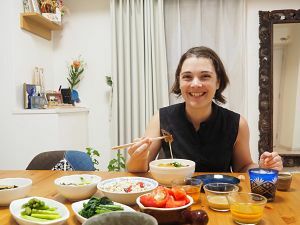 “I just walked around very hungry for a long time, until I can get some food, or decide to eat just anything non-vegetarian so I will not faint.” said Daniel, a traveler from Italy.Traveling, eating and exploring as a vegan in Japan can be very challenge if you don’t read Japanese. Although there are vegan restaurants in major cities like Tokyo, they are few and far between. 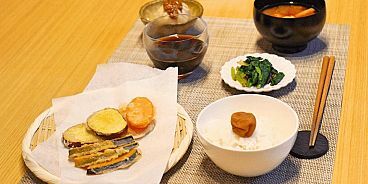 And while many traditional dishes offered in restaurants are vegetable-based, such as nimono (simmered) vegetables, gohan (rice dishes), vegetable shabu-shabu, and miso soup, bonito fish flakes are an ingredient used in most stocks. This is where airKitchen Plus comes to save the day! The service makes finding and eating vegan food in Japan easier. No more opening a map to find a hidden vegan restaurant (that unexpectedly closed only on the day you decided to go), no more dealing with a waiter for possible vegan options, and no more umeboshi onigiri to survive a day(s). airKitchen Plus allows foreign travellers to book and enjoy a vegan home cooked meal with a local host. Through this service, you can easily find your favourite vegan/vegetarian dish anywhere during your stay in Japan. The procedure is simple. Just go to airKitchen Plus website, select your favourite menu from a city you are staying/ plan to go and then book your meal. After that, go visit a Japanese local’s home and simply enjoy your meal with the host! This release was provided by airKitchen Plus.